Do you love decorating for Fall? Here in San Diego, it’s still been in the high 80’s so it’s been hard to start thinking about decorating. But, I know that once I get started, it will start feeling more and more like Fall. 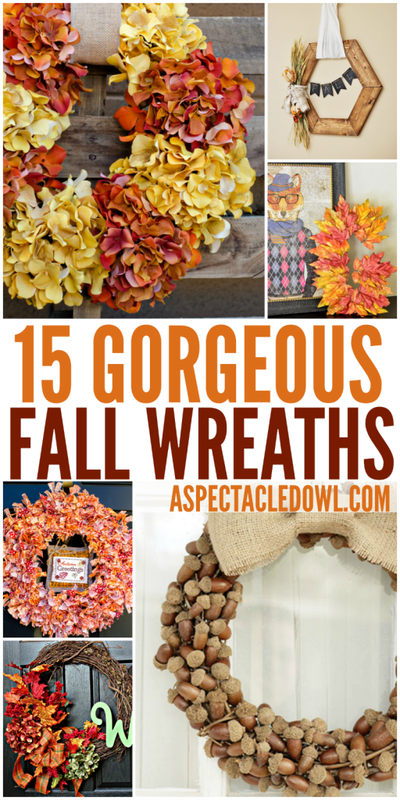 I always admire people that make their own wreaths to hang on their front doors or gates…I’m not the craftiest person so I leave that to other people but these 15 Fall wreaths are inspiring me to start crafting one of my own. Which one would you like to make this Fall? Thank you for including the Deco Mesh Harvest from CraftsnCoffee.com in your round up! Happy Fall! These are all adorable! I would love to make the acorn wreath for my living room.